Have you stopped by WC Interactive lately? The last time we mentioned it the story was just getting started and was growing. If you've never been there, it's a choose-your-own-adventure type website written by Wing Commander fans. The story revolves loosely around Wing Commander 3 at the moment. There's some real creative stuff there. If you originally visited just to add your input, now you can read it for the beginnings of the story. There's no end as far as I can tell though, so when you finish, just keep on going. You can find WC Interactive here. Turns out I misunderstood how my email program stores certain emails, so a number of Fan Directory submissions that have not yet been added to the Directory are now stuck in the ether. I'll be working on a relatively big update to the section soon, so if you sent in your information more than a couple weeks ago (I have the most recent stuff) and would still like to join us, I'd appreciate it if you could resend your original submission email here. Same goes for the ICQ List. If you're already in the Directory and would like your profile updated, this is also a good time for that. I especially welcome pictures. If we had a fan of the day feature, today would be ace's day. Makes You Wonder What the Execs Are Thinking..
GameCenter has done a few of these it seems, but recently there was a new feature on games that should have done better. A number of Electronic Arts/Origin games are the subject because of poor marketing, quality assurance and the like. They have a place to sound off as well that already has some commentary on the companies. The article doesn't make me think of the WC games we know and love, because for the most part those got better fates than some of the ones mentioned. But the ones that we didn't get to know or were in the very earliest beginning stages might warrant a Gamespot Graveyard feature someday. Anyhow, you can find this one here. It's a pretty interesting read that touches on some of the industry problems that we've come to know. Is This A Historic Day? I've debated whether or not it's appropriate to mention Napster. Did you know they were projecting seventy million users within a year or some such like that? A quick scan of the servers right now brings up some WCM Soundtrack songs (which are really worth buying) and the Wing Commander 3 end credits music. In a few months the scene will be back up and more anyhow. I've already seen the entire Wing Commander movie available on Gnutella in mpeg format. It was a gig or two. It'll be interesting to see where that kind of thing goes. I'm not going anywhere with this though, so have a nice day. This one's outrageous. Gamespot's question of the week this week asks which game has the best cinematics. And you guessed it, Wing Commander is not an option. It's not because the game is too old.. Command & Conquer came out before Wing Commander 4, Prophecy and Privateer 2. Obscurity can't be the reason, because that Final Liberation game got a big nod. Cinematics don't even have to be played by live actors apparently (because *both* Starcraft and Brood War are choices), so all major Wing Commander games should have been contenders. Maybe it's just me, but if you think WC has been left off in error, they provide an avenue to contact them and let them know. If you'd like to send an email you can reach them at ask-the-editors@gamespot.com. Take the time to write a well composed letter, people do get them published. The first response to last week's question was written by Wing Commander fan Chris LaRoche. You can find the feature for yourself here. It turned out that Command & Conquer had all this great prerendered footage of GDI and NOD combat sequences before and after every mission. 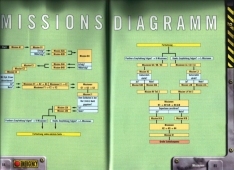 Didn't WC have cinematics before and after every mission back in 1990? Had to be offline for most of this week, so a few things got behind, including Trivia. Week 84 will continue normally this weekend and Week 83 has been extended until then. Time is flying and our Second Birthday is coming soon. We'll be providing more information in the coming weeks, but we do plan to have a couple new things to release and hope people will join us on irc to celebrate. 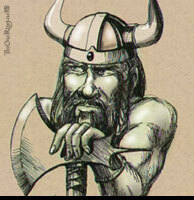 You can find details about the party at our #Wingnut page. Possible prizes include software, autographed merchandise, CIC magnets and/or shirts, movie postcards, movie figures and more. Hope to see you there. They're planning to work on replacing the game's motherships with the Perry Naval Base from Privateer, and the WC3 Kilrathi Dreadnought. Other conversions in progress include the WC2 Concordia and the Kilrathi Hakaga. That's the reply Death got when he asked the Mindprobe people about the possibility of a Wing Commander focused trivia. As you may know, Of the seventy questions for Wednesday's Battlestar Galactica / Wing Commander contest, only sixteen were about Wing Commander. And they required only basic knowledge. They went on to say that another trivia with Wing Commander questions is not likely to happen this year, but they are open to other suggestions. than a bad man to win lots of cash, according to Finley Buscombe. Don't you just hate it when a lottery winner is revealed to be a murderous pirate, convicted conman or just plain old dangerous psychopath? Apparently, so do the Blessed Do-Gooders of Milton, a fringe religious sect who abhor the committing of any sin [of which there are potentially 1.3 billion in everyday life, according to their sacred texts]. The Blessed Do-Gooders have thus devised the Touched by the Hand of the Lord Lottery, which is exactly the same as every other Lottery, except you have to be deemed spiritually pure by at least three cult elders before you can participate. The prize fund currently stands at 27.5 credits. Klaus Rapp kindly sent in a few scans and the details of that German WC4 guide we reported on last week. All 120 pages of the guide are fully colored. That's something you don't see every day, and this isn't even an official guide. But Wing Commander has always done very good in Germany. LOAF noted that Gamecenter has recently posted an interview with Chris Roberts here primarily on the upcoming Conquest, but with a brief mention of Privateer 2 and Warthog. Roberts also talks about the 'Lancers (Star and Free) and the possibility of X-box games from Digital Anvil. Overall it's a bit more PR and a bit less new content. GC: Yes, we've heard about that. Did You Know Saffron Burrows Was in the WC Movie? If you did, then you would have known enough to get through the Wing Commander questions at last night's Battlestar Commander SciFi.com Mindprobe trivia contest. The hourlong event was great fun.. for Battlestar Galactica fans, those interested in general trivia or good guessers. Out of the seventy official questions, only sixteen were about Wing Commander. I expected there to be a roughly equal question distribution.. or at least something better than four to one. And then there was the quality of the questions. There were a couple decent ones that went into Novel topics and such, but most required just basic knowledge along the lines of "Kilrathi are feline" and "the TCS Tigerquill was never a main ship." A few of the fans complained after the event so the host brought out a few unused WC questions that were deemed "too hard." I'm proud to report the Wingnuts in attendance really nailed them. The Java interface locked up for me about forty minutes into the party, so I missed out. But I'm still looking forward to something similar in the future.. especially if it gives WC some fair attention. And while on the subject of trivia, our own CIC trivia got an amazing number of responses last week, but this week is a bit dry. If you'd like to play, you can find more here. They are a little bit harder. ...in the end the sequel's great storyline, fantastic gameplay, and cool speech pack option made this the best of the series. After Wing II, Origin started using real actors and FMV for their cutscenes, losing a little part of what made the first two titles so incredibly absorbing. 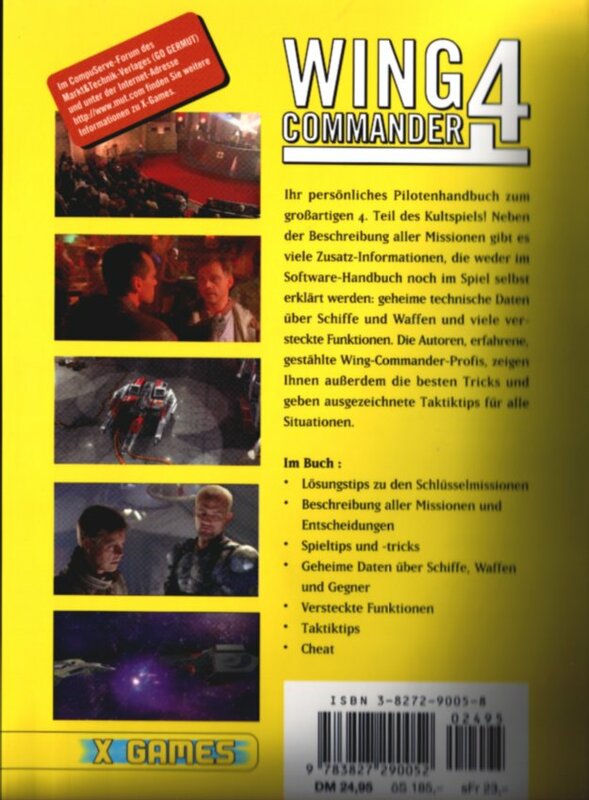 They also list the games that were influenced by Wing Commander (II), which is pretty damn long. Pedro has announced that a group of people are once again reinvesting time into a final push to publish much of the fan game Unknown Enemy. Hopefully things should be wrapped up within a few weeks. They also have a new poll, the plot has been updated and they're willing to take on more volunteers. If you'd like to help, email Pedro here. And you can learn more about the UE project here. On a totally unrelated subject, don't forget the Battlestar Commander trivia contest tonight. Tomorrow evening SciFi.com will be holding its Battlestar Commander Trivia Contest. At 9:00 and 9:30 pm Eastern there will be combined competitions involving Battlestar Galactica and Wing Commander. The grand prize is some big Battlestar book, but hopefully there will be some WC things too. For more information, check their Mindprove page here. In a CNET article, Mark Asher has posted some recent sales figures for Starlancer. Although his source, PC Data, is renowned for its inaccuracy (they only cover 50-75% of North American retailers), the numbers are still a disaster. Starlancer has sold some 30,000 units according to them, so at best that's a total of 60,000 for the US. Tachyon and Freespace 2 have sold equally bad, if not worse. It seems that people stopped buying space sims after Wing Commander Prophecy, which had sold some 750,000 copies this time last year. Thanks to ATFW. Quick brief updates here, it's an exciting day for me. There was a school shooting half a mile from my house and the suspect is nearby. Anyhow, good news for those searching for a legit copy of Secret Ops and the nice Prophecy Gold manual. Express.com apparently has copies of Prophecy Gold in stock, as well as Wing Commander 4 for the Playstation. Prices are not cheap, but auction prices have been known to go higher. The store also sells the Movie soundtrack and DVD. Mav let us know that the WingED beta is full. Hopefully it should be a speedy process to completion now. Mav from the Wing Commander Development Center (which recently reopened and is preparing to expand) has announced that they're looking for a few testers to tighten up a Wing Commander Prophecy editor. It sounds pretty promising at this point. They're in search of one high end tester with a GeForce card, one low end tester and someone in between. I hear the general slot already has quite a few applications, but if you think you can help, go ahead and email Mav. Over at agwc Murgen & Norm reminded me that there's a Starlancer Demo out. For around 70 megs it seems to be on the short side, but it's probably worth the download if you have a fast connection. Like the Wing Commander Prophecy Demo, it has extra missions not included with the game. For more information, proceed to the Microsoft Starlancer page here. Click 'Import' and select the theme of your choice. In years past we've reported about other super weird German guide covers that feature 20th Century fighters and so on. Kris dug up two more oddly designed ones. At least these look far more Wing Commanderific than previous finds. The prominent use of Arrows (and is that a Gladius on the WC3 cover?) reminds me of Wing Commander Armada designs. Sorry, we don't have any larger pics than what is below. It's always nice to hear from the Amazing Captain Johnny. Most recently he noticed a familiar voice in the demo of the new FPS Star Trek Voyager: Elite Force. Tom Wilson, who played Maniac in Wing Commanders 3, 4, Prophecy and Academy, is a featured artificial intelligence character. That game sounds like it has quite an interesting branching story to it, and the voice of Wilson adds a nice touch for Wing Commander fans. We're down to one month before the CIC turns two years old. Although this will be our official third year in operation, most of us have been working on Wing Commander news pages for twice that long. We've seen a lot of changes in the community over that time, and the past will no doubt be a hot topic of conversation this year. We'll be releasing more information in the coming weeks, but for starters we have the basics. On the evening of August 10, we'll be getting together in #WingNut on DALnet at 7:00 pm EST (4:00 pm PST and 11:00 pm GMT.. actually I think US times are now DT instead of ST, but same difference). We hope to have an engaging event with a number of you, update some CIC works and give out Wing Commander related prizes. If you have any questions, need to sync up times or anything else, feel free to email us or drop by the channel. While on the subject, a belated happy birthday also goes to CplHades. Last Chance to Buy KS WC1? The August 2000 PC Gamer should be coming out in the next day or two, so it will become increasingly more difficult to find the July issue. If you missed our earlier coverage, the July 2000 PC Gamer carries the Kilrathi Saga version of Wing Commander 1 on its cover disc. Since Wing Commander 3 isn't nearly as difficult to find as KS, consider this getting half of Kilrathi Saga for $8. Many people missed out a few years ago, don't let this happen to you. If your local bookstore is out, major stores like CompUSA should still have copies. Space.com's listing of science fiction shows for the day mentions that Wing Commander will be showing on Cinemax at 1:00 pm today. I thought Cinemax showed mostly just newer movies, but maybe things change in the afternoon. Too bad I don't think we get Cinemax here. It's come to our attention that there are still quite a few people out there who want to complete their set of the Wing Commander Customizable Card Game. Rather than set up a traditional trading post section, we're going to be utilizing our Chat Zone for that job. There's now a Trading Forum where people can maintain threads about what cards they need or have to offer. New cards can be hard to find and are often pricey, so hopefully this is a help. You can find the CCG Trading Forum here. Environmental observer Hilton Tavares reports. Bexian government officials yesterday released an edict which clearly stated that no more planning permission will be granted for corporate headquarters. In recent months, several companies have been trying to relocate to the planet, which is without doubt the most picturesque in all three systems. Government spokeman Felton Binkley said yesterday, "We're a simple people, who make the most of our fresh air and fine climate. The last thing we want is a load of company hotshots muscling in and turning the planet into an industrial park." There's a new space sim currently in development by Bethesda that borrows from Wing Commander. It's called Echelon and should be available later this year. Some art is coming together and being released at their website right now. It's looking pretty sharp. They also have a forum where you can discuss the game here. There appears to be a lot of interaction between the company and prospective players. We'll definitely be keeping an eye on this game as it nears release. You can find the official Echelon website here. Forgot to include the url for the expensive Kilrathi Saga auction yesterday. It's one thing to hear of an expensive selling price, but it's another to see those eye popping numbers on the ebay stats screen. You can find the auction here. Although there was one auction that went up to $559, last night we saw what we believe to be the most expensive Kilrathi Saga ever sold. The final price was $360. As a small bonus, it also included the WC3 Official Guide. Also of note, there were ten bidders who bid higher than $100. If you haven't bought a July PC Gamer with KS Wing Commander 1 on the cover disc, the August issue comes out next week so you might want to hurry. First it was X-Wing vs Tie Fighter, now it's Freespace 1/2. 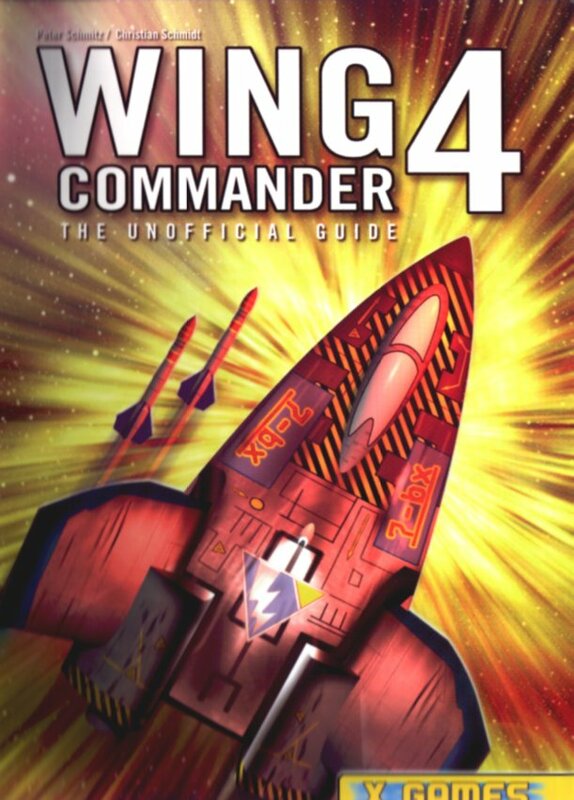 Over at the Nuclear Winter Gaming Network Wing Commander has slipped back into second space.. er.. place Although at one time in this poll WC held more than two thirds of the mojo, it's now in the 40% range along with FS. Good luck. Today the United States of America celebrates its Independence Day. This is also a good time to wish our Canadian visitors a belated happy Canada Day. And we hope everyone else will have a good day too. Richard Bowden lets us know that Peter Telep, author of 3 Wing Commander novels, will be talking about writing science fiction novels. This will happen this Saturday (July 8), in the Oak Room on the third floor of the Orlando Public Library. You can find more information on Mr. Telep's official website. And here's a quote from that website, regarding the status of Pilgrim Truth, the third and final movie novel. Still in limbo: Wing Commander: Pilgrim Truth. Peter finished the third novel in the series, but when HarperCollins merged with Avon, Peter's editor (along with many other folks), moved on to other opportunities; thus, the enthusiasm for WC fizzled. The book might be published somewhere else. Can You Email Me WC4? For starters today we've got a mini faq up to help make communication more efficent. We get quite a few of the same questions emailed in each week so Kris updated our contact link with a few of the most frequently asked ones. If you have something beyond the faq, feel free to drop us a line however. You can reach us here. And while I'm at it, Trivia should be updated this evening. I'll accept old answers up through then. Trend analyst Jiles Gretner reports. A recent pan-system poll has shown a significant loss of faith in the Interplanetary Congress, and an electoral referendum may be in the offering. The drop is attributed to the recent System Enforcement Bill, which was declaimed by liberals everywhere as a gross infringement of personal liberty. The Bill gave the CIS much further-reaching powers of investigation, arrest and weapons-use; sold to the populace as the only solution to rampant crime, it was not long before the man-in-the-street realised the very profound effect it had on everyday life. The 'Kill the Bill' party has pledged it will reverse the Bill if elected. Nuclear Winter Gaming Network is running a poll to determine what fans think the best space sim series is. As of this writing "X-Wing vs Tie Fighter" (erm, the X-Wing series I suppose) is beating "Wing Commander" by about seven percent. Freespace is a ways below that and the rest is basically "other." There aren't very many total votes, so it'll be very easy to make a big difference here. You can find this one here. Thanks to Chris Laroche. And if you haven't noticed, looks like the server wiped out a couple hundred votes from our most recent poll. The silly thing does stuff like that from time to time. Several people have noted this now so it might be worth mentioning that Tchéky Karyo is in the new Mel Gibson movie The Patriot playing Jean Villeneuve. It's his sixth movie since playing Paladin in Wing Commander. Karyo is often credit with giving one of the best performances of all the actors in the movie. Wow, they actually have a Patriot Store..